This 3,660 sq.ft. 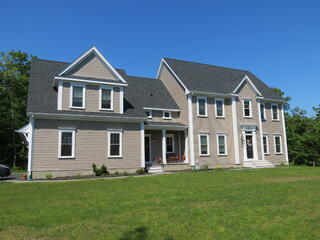 colonial style home provides 10 rooms, 4 bedrooms with 3 full and 1 half bathroom. The home's exterior has been elegantly decorated and enhanced by the landscape architecture that draws in the natural features of the wooded private lot. The interior has been laid out with convenience and functionality in mind with many custom design features. 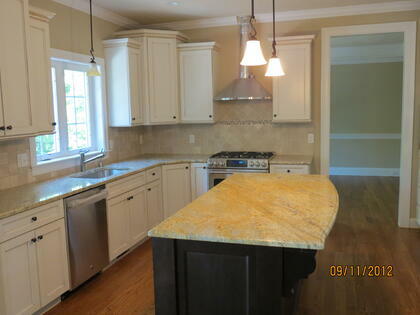 For example, the kitchen cabinets are custom crafted from cherry wood and its countertops are granite. The appliances are stainless steel. The granite has been extended to all bathroom countertops as well. Ceramic tile flooring has been used in all baths, the laundry room and the mud room. The flooring is three-coat finished hardwood. The rear decking is made of durable and highly attractive mahogany wood. The home is connected to Town provided sewer and water. 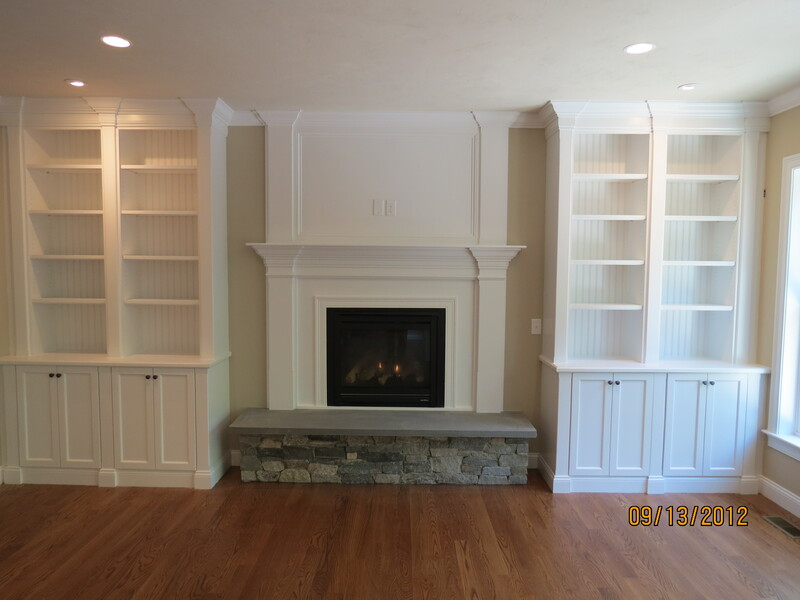 Elegance in the interior is achieved with extensive use of distinctive crown molding, 5 inch tall baseboard molding, and 6 panel doors. Stair case railings are of maple wood. Features intended to minimize energy usage have been built into this home. They will lower the home owner's annual cost for energy and save the environment and our natural resources. To begin with, the home is Energy Star Certified. It has been constructed with 2 x 6 inch studs which support the highly efficient low heat loss spray in foam insulation. The heating and cooling system is a 3-zone hydro-air oil fired. The windows are by Pella and they are insulated with a 20/10 year warranty. The doors to the outside are also by Pella and have a 10 year warranty. Lasting value begins with a solid foundation and so it is with this beautiful home. The home is built on a 10 inch thick concrete reinforced foundation the has a 10 year waterproofing membrane that comes with a 10 year warranty. The foundation also rests on an under-slab drain and perimeter drain system. The home's shell that is exposed to the weather has manufacturer warranty extending up to 30 years. The roofing is an asphalt / fiberglass material that has a 30 year warranty. The siding material is Certainteed Fiber Cement (50 year warranty) and it is coated with Color Max Paint (15 year warranty). The material under the siding is Zip Wall Sheating and it is has a 30 year warranty. The exterior trim material is a synthetic Mira Tec Composite having a 30 year warranty.